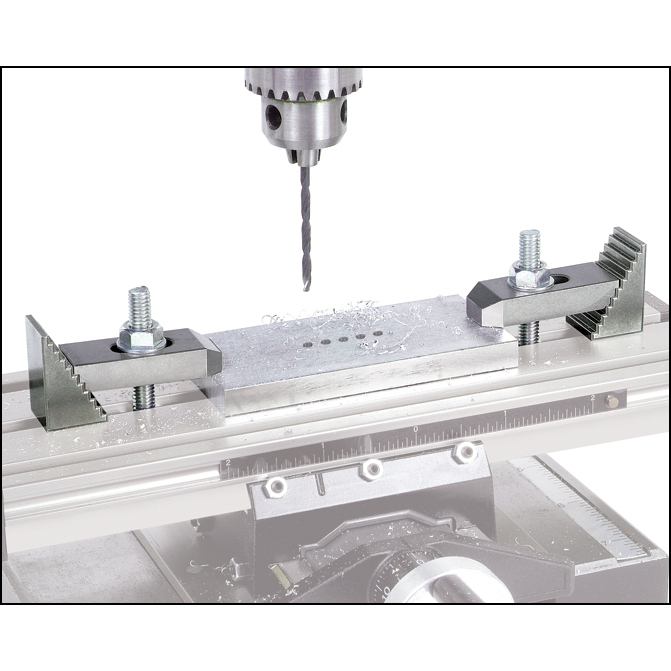 Step blocks and clamp bars adjust to the height you need to clamp workpieces to the #82389 X-Y table attachment (sold separately). Blocks are 1 inch x 5/8 inch x 5/8 inch thick. Bars are 1-9/16 inch long x 5/8 inch wide x 5/16 inch thick. 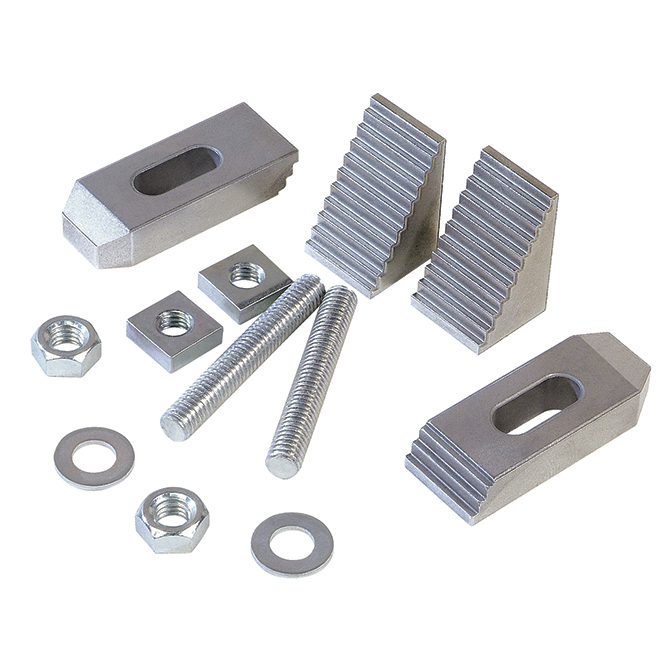 Includes 2 each: step blocks, clamp bars, studs, washers and nuts.